Are you asking all the right questions? It’s easy to fill a job interview with technical questions. After all, the right candidate for your developer position must have the necessary skills to fill the role. However, without the right soft skills and culture fit, even the most proficient developers may not work well in your company. To ensure your candidate ticks all the boxes, remember to ask these five non-technical questions. 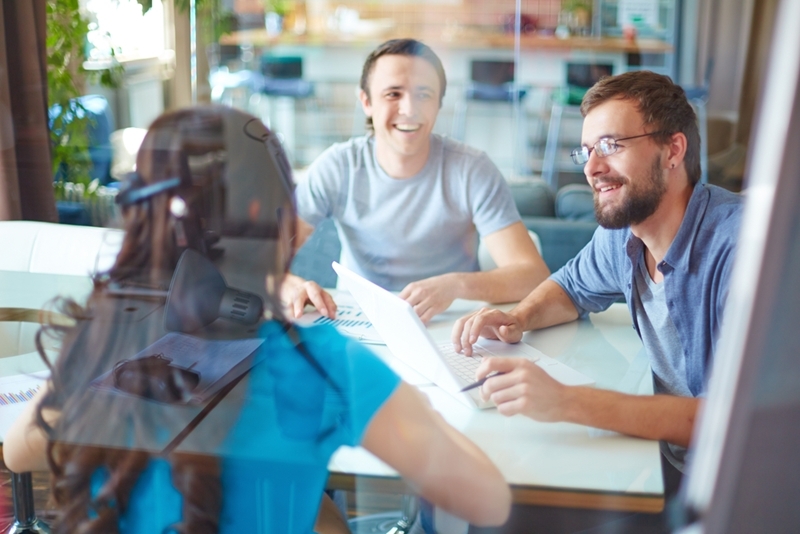 Ask these non-technical questions to ensure candidates have the right culture fit. What seems like a simple and perhaps even irrelevant question at first is actually a great way to break the ice and start to get a picture of how the candidate will fit the company culture. Ask about the candidate’s hobbies to encourage them to talk comfortably about themselves and learn what they like to do in their spare time. If you recognise hobbies that other people in the office enjoy, this could indicate the opportunity for fast bonding within the team. 2. What do you like about your current work environment, and what do you not like about it? Most candidates will be looking for a new job for a reason. Sometimes, it because their previous or current company doesn’t offer the right working environment for them. Asking what a candidate likes or doesn’t like about where they are now gives you insight into the candidate’s expectations of the workplace. If what they’re after doesn’t sound like your company culture, they may not be the right person for the job. 3. How would you explain (relevant technical property) to someone at a party? In a way, this is also a technical question – but it’s mostly to help you learn how they communicate. If the candidate is able to explain complex software or scripts to someone who is not as technically knowledgeable, this could suggest they would be well suited to a leadership or client-facing role. Asking the right non-technical questions gives you insight into a candidate’s personality and helps you build rapport. 4. What project are you most proud of? You don’t have to limit this question to work projects – it’s a great idea to encourage the candidate to discuss their personal projects as well. Learning what they’re proud of and why can help you understand what makes a candidate tick. If they talk mostly about a happy customer, their motivations probably lie mostly in client relationships, whereas talking more about the product itself might suggest a greater drive for personal perfection. 5. How would you change our product? This is a tough question, and you may not always be able to get a great answer. Asking the candidate how they would change your product lets you know how willing they are to give feedback and can give you a glimpse of their creative and critical thinking. Remember, however, that interviews are often nerve-wracking for candidates, so don’t necessarily take a timid response as a sign of weakness in these areas. Don’t settle for an adequate candidate – find the perfect developer for your startup today, with 920 Career Agents. What skills help make an ideal software developer candidate?